Understanding a work of art in its original time and place gives us a deeper appreciation for the work itself and empathy for the people who made it. For this reason, Smarthistory’s content is largely organized geographically and chronologically. But time and place—especially place—are more fluid than is often recognized. 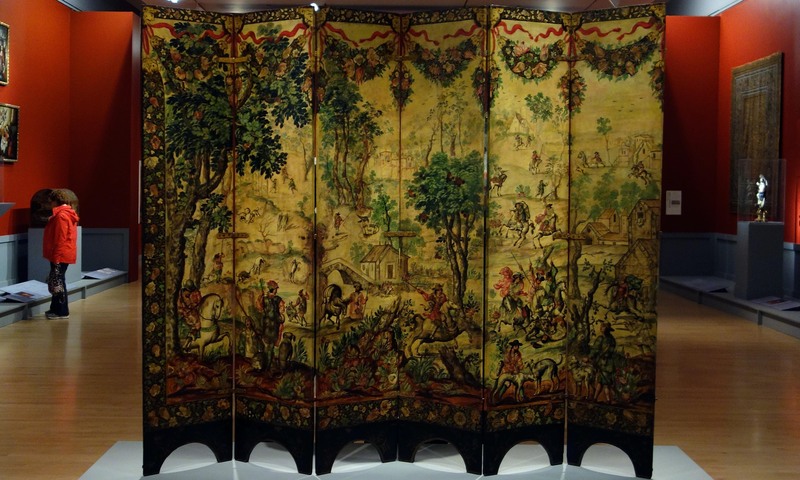 A good example is this Biombo (a folding screen), now in the Brooklyn Museum, which was made in Mexico—then a colony of Spain—by New Spanish artists sometime around 1700. The screen as a form was borrowed from Japan and is decorated using a technique called enconchado (a combination of oil paint and mother of pearl likely inspired by East Asian art). The screen depicts a battle between the European Habsburgs and Ottomans of West Asia. Three continents converge in this remarkable Biombo, but if we locate it only in Mexico and read about it only in books on Latin American art, we all lose. Even more importantly, we overlook the colonial relationships that structured the world in the early 18th century—relations that were often violent and repressive and have had a lasting impact. Happily, the art history that valorized the art of Anglo-European cultures, and continued a legacy that fixed Europe (and the United States) at the center, and relegated the rest of the world to the periphery, has begun to change. Still, these distorting legacies remain tacitly embedded in the Western canon. By examining works of art that cross boundaries and that reflect exchange, we uncover relationships that are more complex, more accurate, and more interesting than histories focused on the art of Europe and the United States alone. This new section of Smarthistory is a first step toward drawing out interconnected stories Across Cultures. Cite this page as: Smarthistory, "Across cultures, an introduction," in Smarthistory, September 26, 2018, accessed April 22, 2019, https://smarthistory.org/across-cultures-an-introduction/.